A budget helps you maintain you goals, whether financial or otherwise. A budget helps you stay on top of things, and keep your spending in check. A budget helps create awareness of your spending in order to help you not overspend or use money on things that don’t best serve you. A budget can help you get out of debt, and help prevent debt. A budget helps you save for the future, for unexpected emergencies, for retirement, for vacations, etc. A budget helps you find balance and more peace in your life, and has many unseen benefits. Just charge it. Don’t worry, I got more cards when this one gets maxed. the balance go up. Often times you wonder how it got so high. Did you feed it after midnight? Somehow your debt multiplied. But when you are very aware of the money you spend, that awareness can single-handedly help you prevent debt. The reason this works is that when you are aware of your spending, you can see what you could be doing differently and how it would better benefit you. Do you really know how much a daily Starbucks coffee is costing you? CBS news shared a document with their findings on how much many people spend per year on coffee. Their original average price per trip was 3.25 (which I imagine few spend this little when they go to Starbucks). The yearly total they estimated was $780 for someone who goes to Starbucks 5 days per week spending only $3.25. Either way you look at it, it’s a large sum of money, and larger than some cell phone bills cost per year. So here is a question, how much are you spending that you really don’t have to? Then clarify how much you should be spending on those items and how much is leftover afterward. If you don’t know how much you should spend on them, you may need to do a little research. 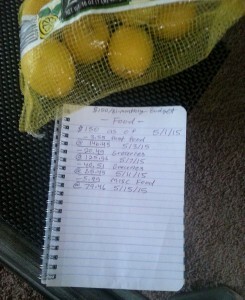 One of the best ways to figure out your budget is by making a log of your history. How long did it take you to finish a pack of toilet paper? How many rolls where in that pack? How many rolls do you use on average per month? How much does that pack cost? What is your average cost per month? These are the sorts of questions you should be asking, and not just about toilet paper, but about everything you use and find necessary for you. Whether it’s shampoo, conditioner, hand soap, dish soap, paper towels, toothpaste, deodorant, toothbrushes, facial tissue, dish sponges, laundry detergent, makeup, or razors, creating a list will help you realize what your budget should and could be. This method also works with food. There are some food items that are less commonly purchased. I like to call these items intermittent foods. They are things like mayonnaise, cooking oils, grains, nuts, seeds, and anything else that usually doesn’t run out within the month. It could even be alcohol (at least for some people) but it really depends on you. These are some of my personal favorites and budgets I have personally set myself. This involves literally taking actual cash (wow, not my debit card?) and give yourself an exact allowance into each envelope and set them aside for the month. 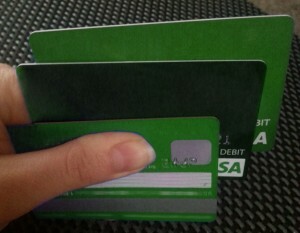 This prevents you from accidentally overspending using a credit or debit card. This also helps you to be more aware of how much cash you really have left on a particular item/group without having to worry about much math and budget lists. 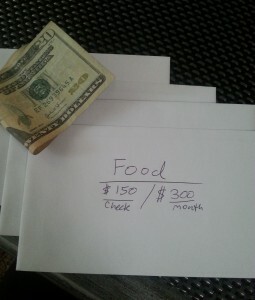 I relied on this budget method for a few years and it really helped me. Here is an example of this system, although you can still use simple envelopes at home. But if you don’t like cash on hand, or don’t feel safe hiding cash, there are other methods that may work for you listed below. balances of each item so that you can still use your plastic cards but still stay on top of things. The main downsides are remembering to continue to write things down, doing math, and not losing your budget log. This is still a great method though if you prefer to keep a paper copy and make sure to write in your transactions. It also helps to save all receipts and staple them together (from oldest to newest) for your records. I did this method for a long time as well, but then one day I thought to myself, “there must be an app for this.” I do my budgeting with an app now, but I still save receipts because it helps with understanding how I spend my money in detail. If you find it difficult to come up with the list budget on your own, there are some good books that can help you in making a money list and budget. but first let me go over the pros for this one. Its fast, efficient, easy to learn, versatile, and effective! It automatically adds everything together for you, saving a ton of time and energy. As long as you have a smartphone, you can benefit from this and chances are you will take it wherever you go, which raises the chances that you will actually remember to punch in your transactions, which is quick and easy to do…well, at least for the app I use. 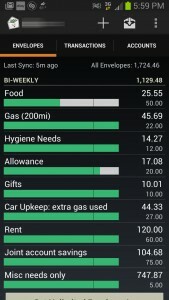 I have personally tried at least 10 budgeting apps, and this one (Goodbudget) is by far my favorite. They have good coding and are super easy to use. I have an android phone, but the app also works on Iphone. Anyway, I just advise you find a good free app that you like. You don’t need to spend money on a good budgeting app. I know I don’t. You might want to pay for special features if you need them, but otherwise this app does the job, and quite well at that. Also, if you reset your phone, lose your phone, or get a new phone, Goodbudget backs up your data so your budget is never lost. Truly a live saver for me. Sure, there are downsides, but the pros outweigh the cons in my opinion. The main downsides are that you have to actually put in your transactions, you have to make sure you put them in properly, and you have to learn how to use the app. Other than that, I can’t see many downsides. Of course use whatever method that works best for you. Making a budget is a very personal thing, but if it is difficult for you, you could always get non-profit budget & debt counseling. But if you really want to take control of your money and lifestyle, making a budget is the way to go. You can take control of your finances, and creating a budget is a huge step to accomplishing that.